Enjoy downloading the Happy Christmas Holidays Free Flyer Template created by Pixelsdesign! 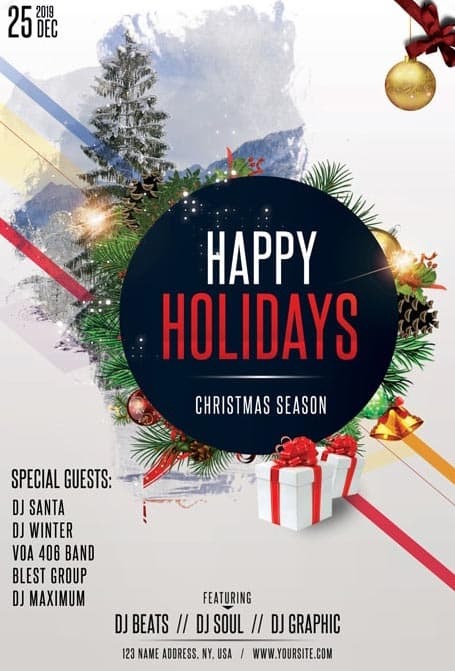 Happy Christmas Holidays Free Flyer Template is a Free Photoshop PSD Flyer to use for your Christmas Party. Download Christmas Celebration Flyer Template for Free. This Christmas PSD Flyer is available for free to download. This Christmas flyer works perfect to use for any Xmas Party, Holidays, Winter Special Offers, or any Entertainment Business.